In the summer of 1957, the Earth stood witness as a meteorite cratered in rural Pennsylvania, bringing with it a people-eating plague never seen: an alien amoeba with the taste for human flesh. While we had Steve McQueen around for the first invasion, humanity is now defended against microbial marauders from outer space by NASA and its international counterparts. Biological contamination goes both ways, mind you. Just as important as keeping extraterrestrial organisms from reaching the surface (aka "backward contamination") is ensuring that our planetary probes carry as few microbial hitchhikers from Earth as possible ("forward contamination"). To that end, in 1958, the U.S. National Academy of Sciences (NAS) issued a decree urging "that scientists plan lunar and planetary studies with great care and deep concern so that initial operations do not compromise and make impossible forever after critical scientific experiments." 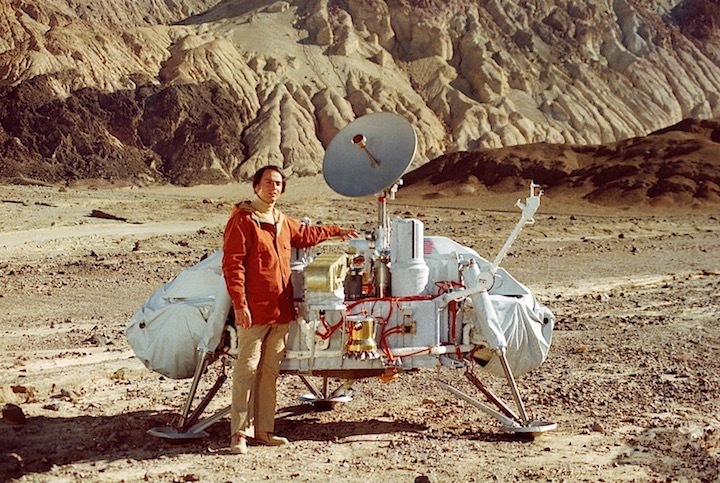 The following year, the newly formed Committee on Space Research (COSPAR) argued "that all practical steps should be taken to ensure that Mars be not biologically contaminated" until an exhaustive search for life on the planet had been undertaken. 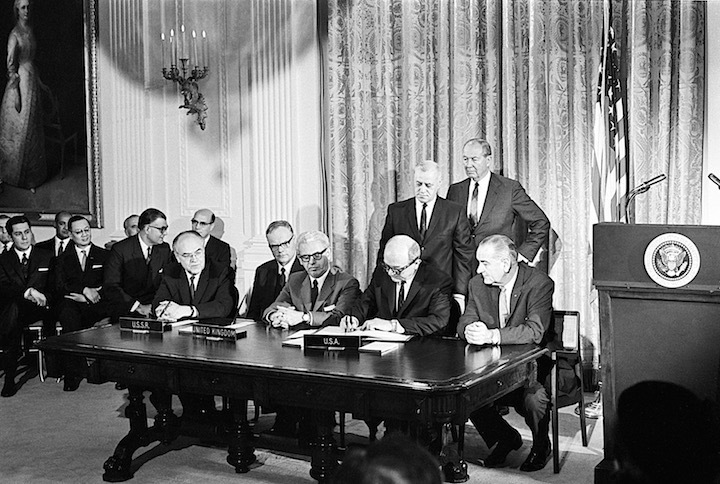 These recommendations became law in 1967 when the US, the USSR and the UK all signed onto the United Nations Outer Space Treaty. "Part of our thinking about planetary protection is that we want to make sure that we safeguard to any future human exploration," Dr. Lucianne Walkowicz, an astronomer at Adler Planetarium and the Astrobiology Chair at the Library of Congress, told Engadget. "When we bring spacecraft to other worlds (or eventually human beings), we want to make sure that we understand that environment. That means being relatively cautious about contaminating it." Category I covers places with little chance of finding even basic forms of life, like Mercury. Category II includes places that might be explored for the origins of life but where the chances of contamination by Earthly microbes is remote. Think Venus or the Moon. Category III regulates flyby and orbiter missions where the chances of contamination are moderate, like Mars or Europa. This is why Cassini was thrown into Saturn: we couldn't have it falling into Enceladus or Titan. Category IV regulates lander or probe missions to the same places as category III, though it is further divided into a series of subclasses based on specific regions of the planet's surface and what the lander is actually looking for. Category V is what happens if there's a good chance we'll pick up a Blob in space. It demands "absolute prohibition of destructive impact upon return, containment of all returned hardware which directly contacted the target body, and containment of any unsterilized sample returned to Earth." "I think they're good for us as a working framework," Walkowicz said. "They certainly have served us well in the history of exploration and our solar system thus far." It's extremely important that space agencies understand the categorical protection requirements of their mission, explains Dr. John Rummel, Senior Scientist at the SETI Institute and former NASA Planetary Protection Officer. "If you tell someone at the last minute they going to do something they had never been planning on, well, they may have to re-engineer entire spacecraft," he told Engadget. "If, on the other hand, they anticipate these requirements from the beginning... then it's not that big of a deal." This planetary protection scheme is designed to minimize the damage from both forward and backward contamination. "We really want to safeguard our own planet's biosphere we have all these wonderful living things here," Walkowicz said. "We want to make sure that we can explore and bring back the samples and use the benefits of our Earthly labs without endangering the world." Dr. Rummel, however, is not particularly concerned. "In my opinion, there is a reasonable possibility that nothing we could do with a sample return done robotically would bring back anything that's alive," he said. Rummel argues that any microorganisms hitching a ride from Mars aboard a material sample would be woefully ill-equipped to handle the rigors of interplanetary flight. "We don't know what those organisms require so the chance that we get lucky and bring them back alive is small." That said, Rummel acknowledges the value in assuming the worst. "The National Research Council and Space Studies Board have always maintained that we will contain [returned samples] as if they're the most hazardous thing on Earth until we prove that it's safe," he continued. "There's no upside in cutting corners." To ensure that outbound spacecraft remain sterile until they're launched, the OPP has traditionally relied on a process known as Dry Heat Microbial Reduction (DHMR). This involves baking individual spacecraft componentsat temperatures of 110 degrees Celsius for 47 hours or 125C for 5 hours with zero relative humidity. First utilized for the Viking missions, "it's a very handy technology," Walkowicz explained. "It's very effective on surfaces, but also between surfaces or even within materials, which is why it has widespread adoption." There are limitations to this method, however. It cannot sterilize an entire spacecraft, for example, as everything from electronic components to structural adhesives and landing parachutes would be destroyed by the heat. As such, NASA has been researching alternative methods to augment the DHMR process, many of which hail from existing medical technologies. Of particular interest for Mars exploration is supercritical carbon dioxide cleaning. Carbon dioxide is held under extremely low temperature and at extremely high pressure so it exhibits qualities of both a gas and a liquid. When mixed with peracetic acid (PAA), it can be used to sterilize materials. What's more, Walkowicz said, given the planet's high CO2 content "maybe there would be a way to develop technology that could use Mars's atmosphere in some way to create a local bioburden reducing technology... and do that in situ." NASA's Jet Propulsion Lab is also developing a technique dubbed vapor phase hydrogen peroxide (VHP) sterilization, which is generated from a solution of liquid H2O2 and water. When concentrated between 140 ppm and 1400 ppm, it acts as an antimicrobial agent. However, "the limitation there is that it's never been used at a systemic level -- like the whole spacecraft level -- so you could do it on smaller components but not necessarily the entire craft," Walkowicz said. There's also the danger of it becoming too concentrated. If VHP levels reach 75 ppm, it becomes toxic to humans. There is also work being done with ethylene oxide as a sterilizer, though Walkowicz points out that ethylene oxide is "kind of explosive." Ionizing radiation techniques are also being explored. The parachute for the Beagle 2 mission, for example, could not withstand DHMR, so NASA scientists subjected it to radioactive sterilization instead. Beyond that, the NASA Mars Exploration Program has examined leveraging electron beam sterilization, which is already utilized in food processing, as a means of cleaning spacecraft. Imagine that life originated on Mars. Life was knocked off of Mars by a large impact event which made Mars rocks eventually come to Earth. The Earth, without any life, is seeded by Mars rocks and then all of a sudden you have all these Mars organisms living on the Earth... the natural response of Earth and Mars together would be the evolution of animals, plants and whatnot. So we could all be Martians and that is as bad as it gets, I think. Whether we need the protection or not, there are a number of ways that future interplanetary explorers might avoid the biological pitfalls of Mars. "We tend to think of it as being robotic exploration or human exploration," Walkowicz said. "In reality we see humans and robots cooperate all the time in exploration on Earth" such as the Fukushima power plant cleanup or subsea exploration in Antarctica. 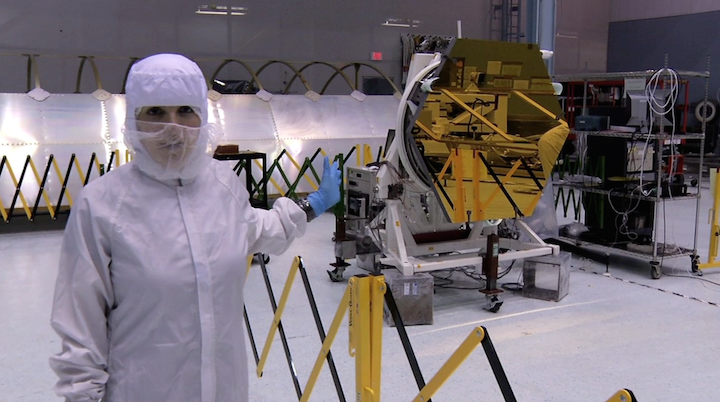 "We often send robotic probes and I think that that's something that we're likely to see in some of those early explorations of Mars that involves a human component," she continued. Essentially, astronauts would either remain in orbit or sequestered in a planet-side bunker and remotely control robotic rovers who would do the legwork on our behalf. "The other possibility is, instead of worrying about cleaning your spacecraft off afterwards, you construct it as cleanly as you possibly can" from the start. In the end, Walkowicz argues, planetary protection requirements should not be viewed as a hindrance to space exploration, but rather, an asset. "If we want to answer some of those difficult questions about the origin of life, if we really want to understand Mars or Europa or any of these worlds as astrobiological resources, we have to fold planetary protection into our thinking," she said. "It enables the science that we want to be able to do." Or, as Rummel points out, "To paraphrase Franklin Roosevelt, 'The only thing we have to fear is fear itself.'" Well, that and the space plague.